Calaméo - What Is A Shipyard? 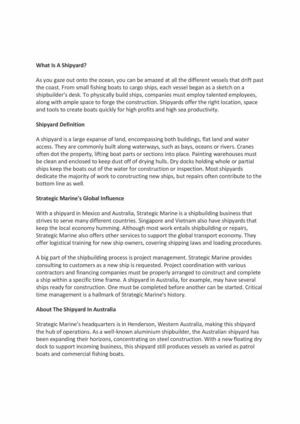 Strategic Marine is a Western-Australian shipbuilding company that has produced over 400 different shapes and water vessels. For more information visit on Strategic Marine see http://www.strategicmarine.com/company/global-operations/mexico.aspx.